2Wash the asparagus in cool running water. 3Cut the ends off until only the green tender parts remain, usually about an inch or so off of the bottom. You can also snap the ends off one by one, as the asparagus will usually snap right where the tender part starts, but this is much more time consuming. 4Place the asparagus in a bowl and pour the marinade over. Cover and refrigerate for one hour. 5Heat the grill, medium heat. 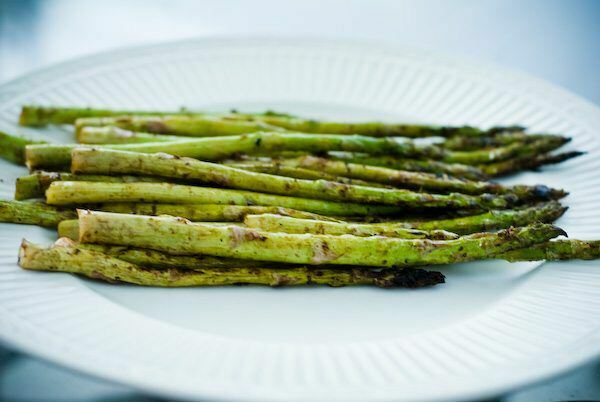 6Remove asparagus from the marinade and drizzle the olive oil over the stalks. Place the asparagus on the grill so they are perpendicular to the grates. Spread them out so they all are exposed to the heat, but are snug up against each other. Grill for 2-3 minutes over the direct flame with the lid open until they begin to brown slightly (ever so slightly). 7Turn the asparagus careful. It is best to use tongs. Grab only a few at a time or you will risk loosing some stalks down between the grates. 8Grill for another 2-3 minutes until a nice grill color appears. 9Pull one off and taste to ensure they are cooked to your level of desired tenderness. Leave on for a few minutes more if you like, but don’t overcook. 10Serve as is, or add a little butter or hollandaise sauce. Great, easy,common ingredients. 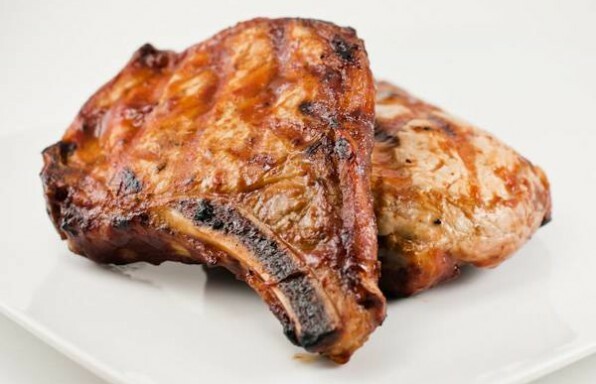 Works well on the grill or inside under broiler. Family loves the flavor no need to add sauce. It is a recipe to keep! We include these almost every time I light the grill. The leftovers (rarely!) get diced and added cold to a green salad for a great change of pace.